-The circular Dining Restaurant with it’s use (Slerk Jak) leaf for the roof with the khmer culture village. 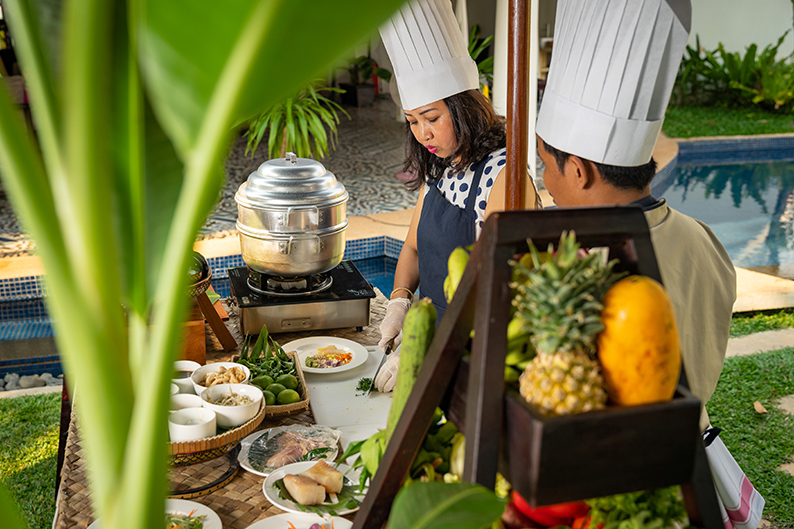 breakfast ,lunch and Dinner – at all around the pool area The Dining also provide a thigh -tea ,and an relaxing quite sitting area where guest can help themselves to home . 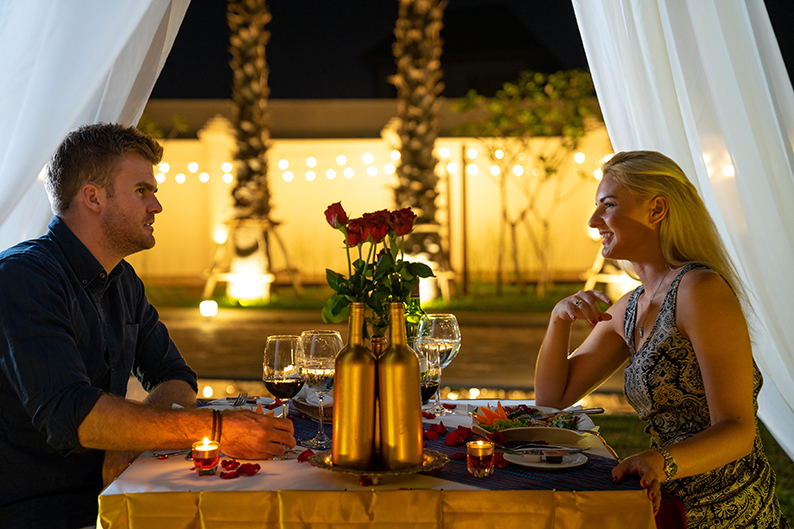 The most memorable dinner of your life at The embassy angkor resort . 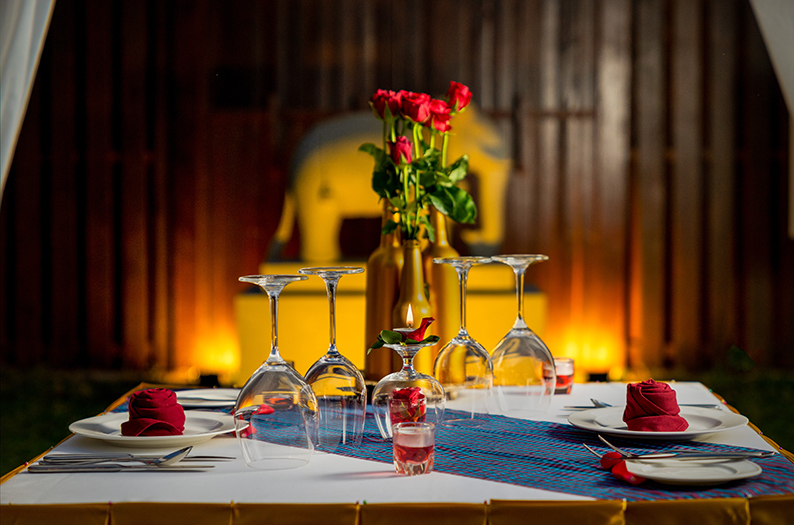 Our Chef Team will prepare a course menus by designed special with you and your lover . 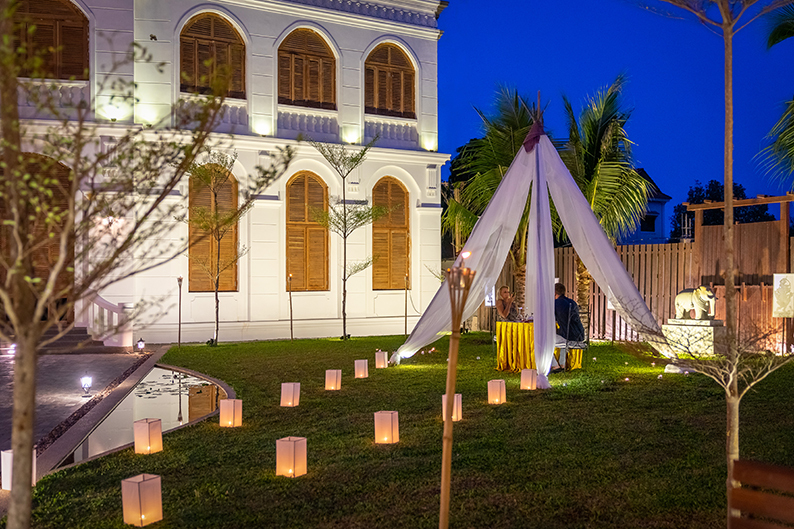 Dine among lighting of our fiber optic pool and star pool sky for a romatic event experience.